RLD Relocation & Logistics Northeast Ohio professional packing services can meet all your packing needs. Looking for affordable and durable packing supplies? Are you in of need packing professionals to pack and crate all of your possessions or select high-value items? We can help! RLD provides Northeast Ohio professional packing services in Akron and throughout the Northeast region. We ensure that your possessions arrive safely and intact! Using our skilled packing professionals ensures that your belongings are carefully, meticulously and securely packed with protective packing materials (Brown paper wrap, packing tape, packing paper, shrink-wrap, etc.). assembled to safely transport your most prized possessions. Our company can arrange to have your belongings that require special attention crated before they are loaded on the truck for transport. 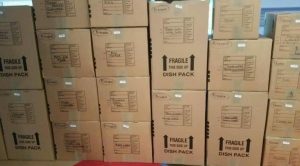 You can have us wrap and pack all of your household possessions or request that we only pack select high value, unique, sentimental, or fragile items. Either way, our Northeast Ohio professional packing services offer extra peace of mind for your move. If you are packing on your own — we offer moving supplies to meet all your moving needs. 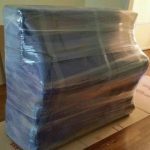 We have a large selection of moving supplies, including pre-packaged moving box kits which include moving boxes (various sizes), tape, shrink wrap, etc. Please contact us for moving supply pricing and delivery options. If your move requires packing we can be of service. Whether you need one item packed or an entire home, our moving professionals are ready to make sure your belongings are securely packed and ready to be moved. Pianos are sometimes passed down as heirlooms from one generation to the next. Our moving professionals understand this and ensure that even the most prized possessions in your home are well taken care of.